Aside for the truly defensive sectors (i.e. 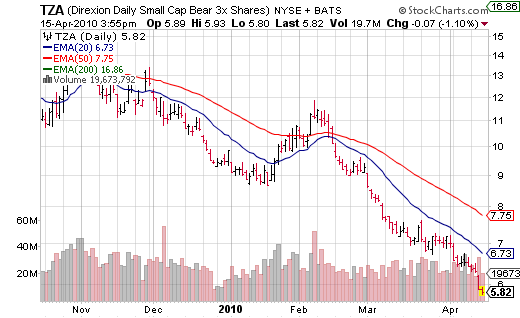 utilities) this 2 month rally has seen a rotation into almost every “growthy” subsector – except for 3 that I can think of: solar, dry bulk shippers, and oil services. The latter group is still struggling but the former two have seen the rotation finally come to their doorsteps. 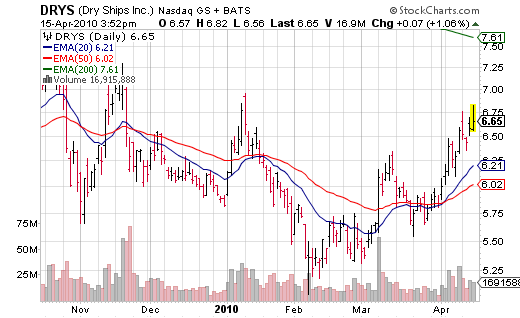 Which is sensible since we’ve time warped back to 2007 and dry bulk shippers and solar stocks were all the rage back then. Now the question to be asked is… after every “growthy” sector has had its turn in the sun (pun intended) what’s next? In the old days when the last vestiges and / or the most speculative of stocks and sectors start running (both happening of late) one would want to get very cautious and wary and begin planning for a selloff. But that was the old market when the index could fall more than 0.3% – I don’t know the rules in this market. Poor TZA, your 50% loss in 2 months saddens me….one day we will be reunited. 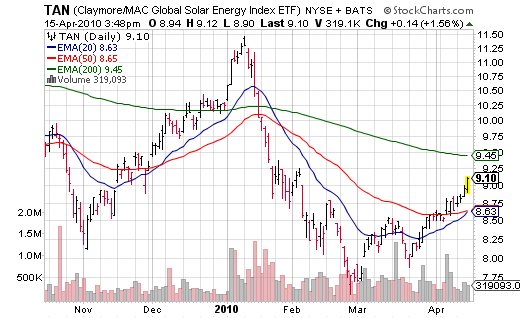 Does the Solar ETF Reflect the Chances of Obama 2.0?